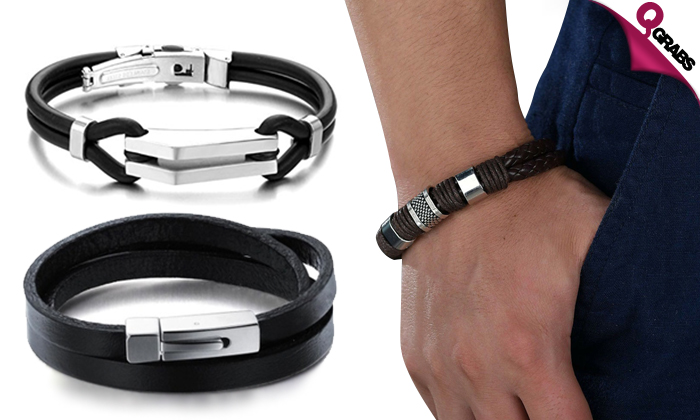 Leather and Silicone Bracelets for Men & Women! Items not collected/received by 6 March 2019 will be forfeited and no refund will be given. Band made out of silicone and stainless steel for a trendy urban look. Subtle style with a wrapped leather bracelet in cool black. Made out of leather and steel. Accessorize with up to 86% off!